April new release at Kinda Cute. Day 5. And...the new release is at the store. I hope you liked the previews and the images that I have this month. These won't probably be the only digis that I add in the store this month, so if you want to know more, join my Facebook group so you stay tuned. For this card I am using Gymnast digital stamp. I think it is perfect for girl cards. Since it is a girl haha. For the background I used several of my clear stamps, you can find them here. Today I have to show you this digital stamp from the new releases that will arrive on April 5th at the store. I colored her with Copic markers and cut her around with scissors. The die is from Law Fawn. I am sorry if my posts are short. Most of the time I don't remember how I made the card and I don't have much time left to blog. April new release at Kinda Cute. Day 3. I managed to make a card for Day 3 of the new releases! I hope you like the little baby seal on its ice block. I made a congratulations card for a new baby. 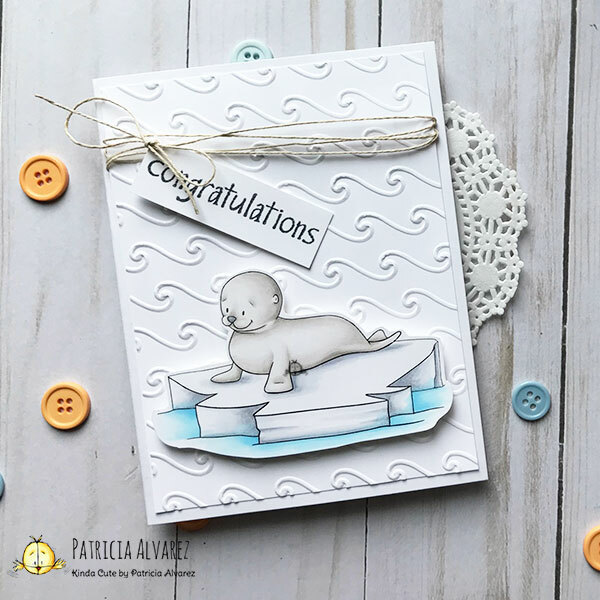 I used an embossing folder with waves and I colored the baby seal with Copic markers. In two days the new release will be available in my store. 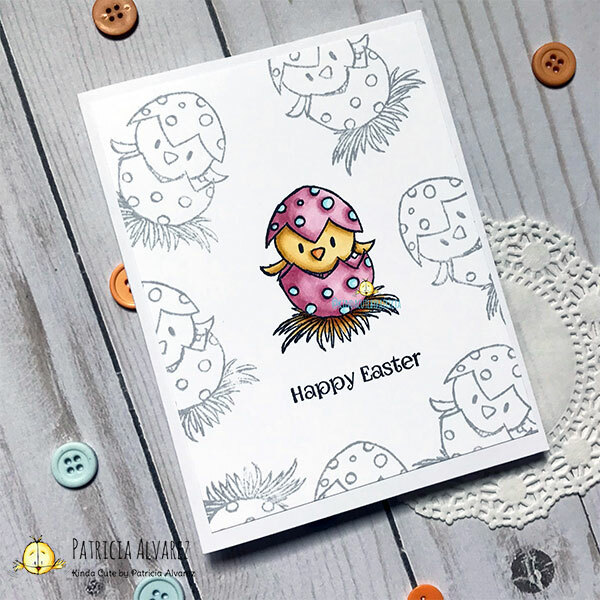 Meanwhile, join my Facebook group to see what the rest of the members are making with the Kinda Cute Stamps! 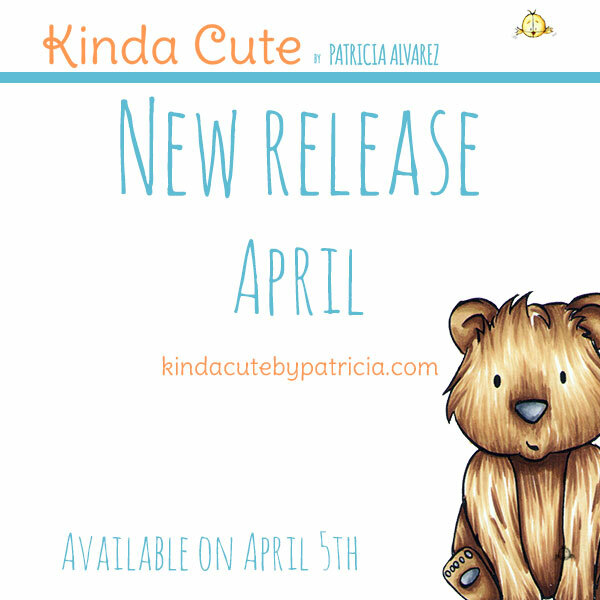 April new release at Kinda Cute. Day 2. In my attempt of making more scenery I made this digital stamp for the new release. Now I will have to make Don Quijote and Sancho Panza (I don't know how they are called in English, sorry). I colored again using my Copic markers, just because my Spectrum Noir are very bad and I basically don't like them much. For the card I used scraps of paper and a sentiment from one of my clear stamps set that you can find here. It has the sentiment in Spanish too so that is good (I think). I will be back another day with a different card. I don't know if I will be able to blog the card for the day 3 of the new release. I didn't make it yet haha. If not.. I will be back on Thursday! Check my Facebook group to see all the details or my Instagram page so you don't miss anything!